Miami is known for its beautiful beaches and luxurious lifestyle. This driving experience allows you and colleagues an unforgettable adventure. Get behind the wheel of the world's most exotic vehicles including Ferrari, Lamborghini, and Bentley. 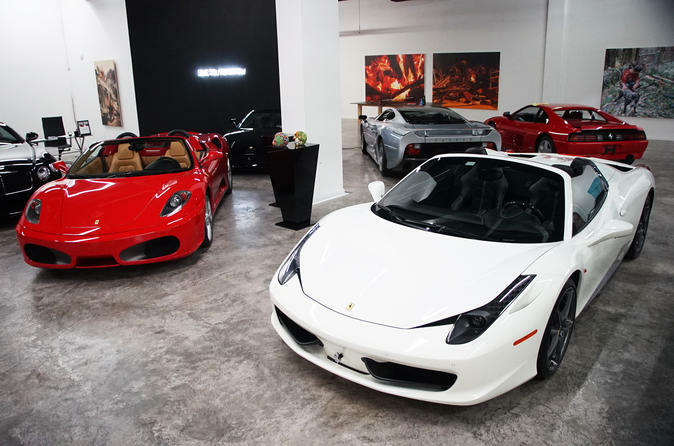 Your Driving Experience will start at our Miami gallery where some of the most iconic, vintage, European, exotic vehicles in the world are on display. After exploring the gallery, you will receive a brief overview of our mission and a tutorial on the vehicles' operations. After the tutorial, select your car and cruise through the major hot spots in Miami. Car options include Ferrari 458 Spider, Lamborghini Huracan, Mclaren 650S, BMW i8, Bentley GTC V8 S, Lamborghini Gallardo Performante, Porsche 911 Carrera S, and Corvette Stingray Z51. Drivers will have the option to alternate between vehicles for maximum excitement. The experience will take the drivers to Key Biscayne, Ocean Drive and The Wynwood Arts District. Midway through, there will be a photo opportunity with the beautiful Miami skyline as a backdrop.